St. Augustine Distillery has worked to build itself as a destination for tourists since opening in 2014. Last year’s numbers proved that it did just that! 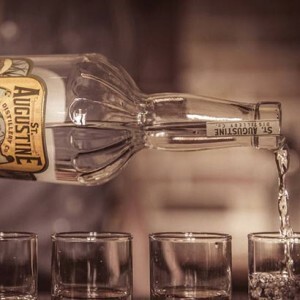 For one – The St. Augustine Distillery was voted #1 for attractions in the nation’s oldest city in Best of St. Augustine – a yearly contest promoted by the local newspaper. Votes for “favorite businesses” of all categories; including attractions are listed and the locals and visitors are urged to vote away! It appears the Distillery’s hard work and efforts have paid off in more ways than one indeed; in fact, this hot spot welcomed over 123,000 visitors in 2015 alone! The famous Distillery had its peak months in March, July and December, according to news releases. St. Augustine Distillery Co-founder and CEO Phil McDaniel blames the success and popularity of this new attraction on the growing craft distillery movement today. Craft distilleries are definitely up-and-coming, and the St. Augustine Distillery is on the forefront of this exciting new industry. The owner believes that our very own Distillery welcomed more visitors than any other in the U.S. The St Augustine Distillery offers FREE tours and tastings every day of the week, is stop #12 on the ever-popular Old Town Trolley map and route of the historic district. Check this map if you’re planning a visit their (especially a purchase) and you’ll find a coupon for a FREE souvenir shot glass! The St. Augustine Distillery produces vodka, gin and, most recently, rum. It will release its bourbon whiskey later this year. Be sure to check out their restaurant – The Ice Plant as well. This unique and historic place to sit down and eat and drink is also growing in popularity amongst the locals and visitors alike! Attached to the Distillery but yet carrying its own with character and uniqueness, this special place has a story to tell! The original “Ice Plant” building dates back to 1927. It is complete with the original bridge crane on rails overhead the bar. The crane was used to pick up huge blocks of ice to then be broken down and sold to local customers and the shrimp boats. Upon its opening owners wanted to restore the feeling of walking into an old factory and that’s just what they did! Inspired by the historical period of the early 20th century, the idea is to reintroduce guests to a time where the experience of having a cocktail and a bite to eat was both healthful and enjoyable!